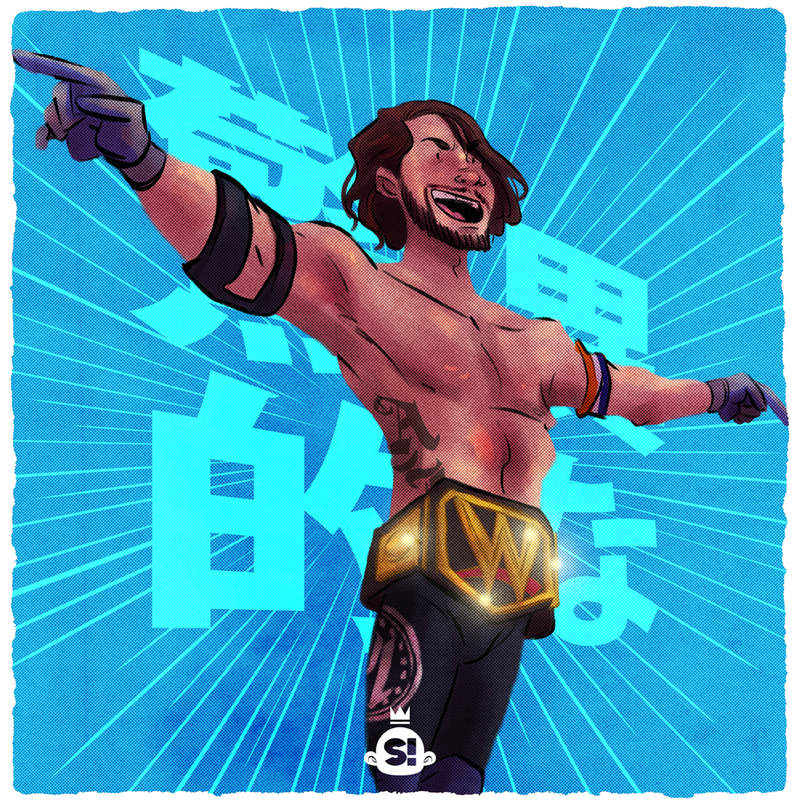 Continuing with my series of illustrations of current champions in WWE, after last Sunday's Backlash PPV I felt it was only right that this one had to happen. I was introduced to this man in the early days of TNA (when it was NWA-TNA) alongside the likes of Low Ki, Christopher Daniels, and Amazing Red. So you would have to understand my excitement when he debuted in WWE earlier this year at the Royal Rumble, only to win its top championship a couple of months later. So of course the next edition of my "Champions" series had to be the Phenomenal AJ Styles. We live in a time where Kevin Steen, AJ Styles, and Shinsuke Nakamura (foreshadow) are the top champions in World Wrestling Entertainment (yes, NXT counts). What a time to be alive. First done in Procreate, and finished in Photoshop.